Bacardi Limited is the largest privately held spirits company in the world and produces and markets a variety of internationally recognized spirits and wines. The Bacardi brand portfolio comprises more than 200 brands and labels, including BACARDÍ® rum, the world’s best-selling and most awarded rum; GREY GOOSE® vodka, the world’s leading super-premium vodka; DEWAR’S® Blended Scotch whisky, the world’s most awarded blended Scotch; PATRÓN® tequila, the world's highest-quality ultra-premium tequila; BOMBAY SAPPHIRE® gin, the top-valued and fastest-growing premium gin in the world; MARTINI® vermouth and sparkling wines, the world’s leading vermouth and the world's favorite Italian sparkling wines; CAZADORES® 100% blue agave tequila, one of the most popular premium tequilas in Mexico and the United States; and other leading and emerging brands including WILLIAM LAWSON’S®, the fastest-growing global Scotch whisky brand; ERISTOFF® vodka, one of the fastest-growing vodka brands in the world; and ST-GERMAIN®, a super-premium elderflower liqueur. Family-owned Bacardi was founded more than 157 years ago in Santiago de Cuba, on February 4, 1862, and employs more than 7,000 people and sells in more than 170 countries globally. The Company operates more than 20 production facilities, including bottling, distilling and manufacturing facilities. Bacardi Limited is headquartered in Hamilton, Bermuda. The Company opened offices in Bermuda in 1965 and moved into its current Ludwig Mies van der Rohe-inspired landmark building in 1972. Bacardi Limited refers to the Bacardi group of companies, including Bacardi International Limited. For additional information, please visit www.BacardiLimited.com. Bacardi Limited opened offices in Bermuda in 1965 and moved into its current Ludwig Mies van der Rohe designed landmark building in 1972. 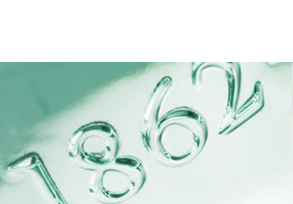 1862 Bacardi is founded by Don Facundo Bacardí Massó in Santiago de Cuba, when he revolutionizes rum as a spirit and the rum-making process by creating a smooth, light-bodied spirit – what the world now knows BACARDÍ rum. 1898 In Daiquirí, Cuba, American mining engineer Jennings S. Cox originates the Daiquirí cocktail with BACARDÍ rum. 1900 The world’s first Cuba Libre is created in Cuba when BACARDÍ rum and Coca-Cola® are mixed with lime to celebrate the end of the Spanish-American War. 1919 Prohibition becomes law in the United States and Americans flock to Cuba to drink and enjoy BACARDÍ rum. 1930 The iconic Edificio Bacardi opens in Havana and celebrities frequent its Art Deco bar. 1930s Bacardi establishes facilities in Mexico and Puerto Rico—to date two of the largest production facilities within Bacardi with the facility in Cataño, Puerto Rico, being the largest premium rum distillery in the world. 1944 Bacardi establishes an imports company in New York City to supply the United States market. 1960 Bacardi operations in Cuba are illegally confiscated without compensation by the Cuban government. Bacardi continues its operations from five other countries: United States, Mexico, Puerto Rico, Spain and The Bahamas. In October 1960, Bacardi operations in Cuba were illegally confiscated without compensation. 1961 Bacardi starts production in Recife, Brazil. 1965 Bacardi opens a distillery in Nassau, The Bahamas. 1965 Bacardi International Limited relocates from the Bahamas to Bermuda. 1972 Bacardi International Limited inaugurates new headquarters building in Bermuda inspired by an original design by Ludwig Mies van der Rohe. 1978 BACARDÍ rum becomes the number one premium distilled spirits brand in the United States with more than 7 million 9-liter cases sold. 1979 BACARDÍ rum recognizes worldwide sales close to 16 million 9-liter cases making it the world’s number one selling premium spirit brand. 1983 BACARDÍ celebrates the production of its 200 millionth 9-liter case of rum since being exiled from Cuba in 1960. 1992 Bacardi Limited is formed, unifying five separate strategic operating units of the Company (Bacardi International Limited – Bermuda; Bacardi & Company Limited – Bahamas; Bacardi Corporation – Puerto Rico; Bacardi Imports, Inc. – United States; and Bacardi y Compañía S.A. de C.V. – Mexico). 1993 Bacardi finalizes the acquisition of General Beverage, owner of the MARTINI & ROSSI Group. With this acquisition, Bacardi doubles in size and becomes one of the five largest premium spirits companies in the world. 1998 Bacardi acquires DEWAR’S Scotch whisky and the BOMBAY and BOMBAY SAPPHIRE gin brands. Bacardi becomes one of the top four spirits companies in the world. 2002 Bacardi acquires CAZADORES 100% blue agave tequila, a top-selling premium tequila. 2002 Bacardi opens a facility in China. 2003 Bacardi opens the Casa Bacardi Visitor Center at the Bacardi distillery at Cataño, Puerto Rico—a multimillion dollar, state-of-the-art tourist experience celebrating the Bacardí family, Company history, and unique qualities of BACARDÍ rum. 2004 Bacardi purchases GREY GOOSE vodka, the world’s number one super premium vodka. 2005 Facundo L. Bacardi, great-great grandson of the Company founder, becomes chairman of the board of directors of Bacardi Limited. 2007 Bacardi purchases a stake in LEBLON Cachaça, an ultra-premium luxury spirit from Brazil and the most award-winning cachaça on the market. 2008 Bacardi announces an agreement to purchase a significant stake in the parent company of Patrón® tequila. 2009 Bacardi Limited achieves “Triple Crown” certification and leads the industry as the only major spirits company in the world to have all its facilities globally certified to be operating in accordance with the world’s most recognized standards for quality, environment, and health and safety – ISO 9001, ISO 14001 and OHSAS 18001 – putting the company among an elite group of the world’s best-run companies. 2010 Bacardi Corporation, part of the Bacardi Limited group of companies, and home to the largest premium rum distillery in the world, unveils the largest wind turbine installation in Puerto Rico. The turbines are designed to harness natural wind energy to help power Bacardi’s top global distillery near San Juan. 2010 BACARDÍ rum is awarded the International High Quality Trophy for BACARDÍ Gold, BACARDÍ 8, and BACARDÍ Reserva Limitada by the prestigious Monde Selection® International Institute for Quality Selections. BACARDÍ rums top 400 awards – the world’s most awarded rum. 2011 Rafael Nadal, ATP world-ranked number one and winner of nine Grand Slam championships, becomes the Bacardi Limited Social Responsibility Ambassador and face of the award-winning “Champions Drink Responsibly” international social responsibility campaign. 2011 BACARDÍ OakHeart, a spiced rum specialty, launches. 2012 On February 4, the Company and BACARDÍ rum celebrate their 150th anniversary – an extraordinary milestone few companies reach. 2012 Bacardi Limited announces Ed Shirley as its president and chief executive officer. 2012 BACARDÍ rum, the world’s most awarded rum, tops more than 550 awards for quality, taste and innovation making it the world's most awarded spirit. 2013 Bacardi acquires super-premium ST-GERMAIN liqueur, the world’s first elderflower liqueur, and one of the fastest-growing spirits brands in the United States. 2013 Bacardi celebrates the 150th anniversary of MARTINI, the world's leading vermouth and favorite Italian sparkling wines. 2014 Bacardi Limited unveils global environmental initiative called “Good Spirited: Building a Sustainable Future” with specific goals in sourcing, packaging and operations. 2014 Bacardi Limited announces Michael J. Dolan as chief executive officer. 2014 John Dewar & Sons Ltd. releases a range of new expressions and never-before-released single malts under the title of the "Last Great Malts”: ABERFELDY, AULTMORE, CRAIGELLACHIE, THE DEVERON and ROYAL BRACKLA. 2014 BOMBAY SAPPHIRE gin opens its distillery and brand visitor centre in England at Laverstoke Mill. 2015 On its 153rd anniversary, BACARDÍ rum announces its first packaging update in more than a decade. 2015 Bacardi purchases Angel’s Share Brands, its subsidiary, Louisville Distilling Co., and its ANGEL’S ENVY™ brand marking the Company’s entry into the bourbon category of the North American whiskey sector. 2015 Bacardi acquires the super-premium BANKS rum portfolio including BANKS 5-Island Rum, BANKS 7 Golden Age Blend and various limited editions. 2015 Bacardi completes an acquisition of Leblon Holdings LLC and its LEBLON cachaça brand after serving as a significant minority investor for several years. 2015 BACARDÍ Tangerine launches to mark the 20th anniversary of the BACARDÍ Flavored Rum line. 2016 Bacardi creates a regional distribution network in North America and names Southern Wine & Spirits of America, Inc. and Glazer’s, Inc., which have signed a definitive agreement to form Southern Glazer's Wine and Spirits LLC, to lead the distribution of its wine and spirits portfolio in more than 40 markets across the United States and Canada. 2016 Bacardi HAVANA CLUB Puerto Rican rum expands nationwide with the introduction of Añejo Clásico and “The Golden Age, Aged Well” campaign in the United States. 2017 Bacardi Limited announces Mahesh Madhavan, a 20-year Bacardi veteran, will succeed Michael J. Dolan, who will retire as Chief Executive Officer, in FY2017. 2017 Bacardi Limited announces accelerated leadership transition as Mahesh Madhavan takes over as Chief Executive Officer, effective October 1, 2017. 2018 Bacardi Limited acquires 100% ownership of Patrón Spirits International AG and its PATRÓN® brand, the world’s top-selling ultra-premium tequila. 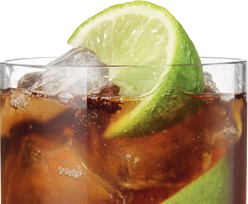 The original Cuba Libre, a BACARDÍ & Coke®, is the number one cocktail in the world with more than 6 million ordered every day around the world. The original Cuba Libre was created to celebrate the end of the Spanish American War, when American soldiers fighting for Cuba’s freedom asked for their Coca-Cola® to be mixed with BACARDÍ rum. They toasted to a free Cuba, naming it the “Cuba Libre.” In August 2018, the original Cuba Libre celebrated its 118th anniversary. The original Daiquirí was created with BACARDÍ rum. It was created by an American working at the Daiquirí mines in Cuba who wanted a refreshing cocktail made with the fresh limes that grew there. 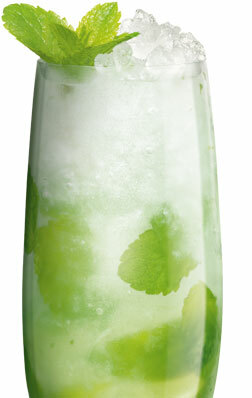 Mojitos have their roots traced back for centuries in Cuba. The Mojito rose in popularity in Cuba after the creation of BACARDÍ rum and the rum specified in the first recorded Mojito recipes is BACARDÍ. o The Bacardi portfolio includes a full range of products such as rum, vermouth, scotch, cognac, brandy, vodka, gin, liquors, tequila, port, wines, malt beverages and beer. Bacardi Limited has been owned by seven generations of Bacardí family members — descendants of the Company founder Don Facundo Bacardí Massó.